You are already facing one of the most difficult life experiences you’ll ever go through, breaking up your family. On top of that, you’ve got the law to deal with. And, you’re going to need the best legal help you can get. You deserve it, your children deserve it. 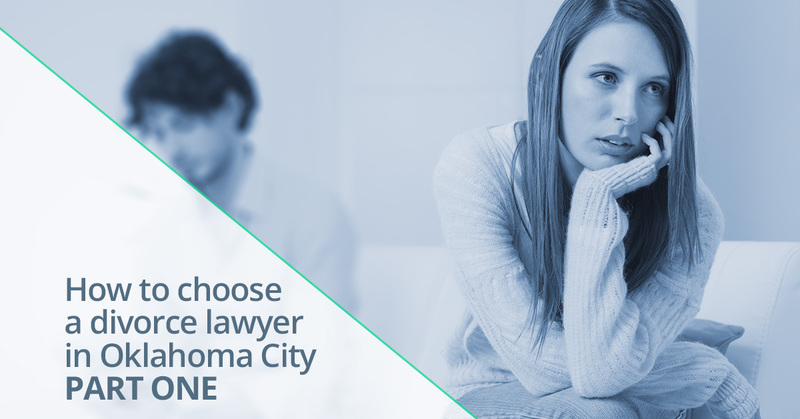 So, follow these steps to find the best divorce lawyer Oklahoma City has to offer. And, don’t forget, our team at the Women and Children’s Law Center is always here for you. While it is always good to work with someone you like and get along with personally, don’t be taken in by a good personality or salesmanship. Your attorney is there to interpret and navigate the legal system for you. Their job is to make sure you and your children are well served by the legal system, that you don’t get taken advantage of, and that every possible legal remedy for your situation is explored. Knowing that your attorney is able and willing to be the best legal advocate for you is more important than working with someone who you can chat with over a cup of coffee. Depending on your situation, you’ll want to look for an attorney with different specialty skills. If you are facing a difficult custody battle, or if there are complex financial issues at play, you are going to need an attorney with experience in those areas. If you are involved in an amicable divorce, it is as important to find a lawyer who understands the ins-and-outs of such a situation and can look out for your best legal interests. An amicable situation can be tricky, and without the right representation, you may end up with a settlement that you come to regret. We’re not suggesting that you hire a close, personal friend. But, we do think that it is important to hire an attorney who has a verifiable history of helping people in your situation. Every divorce is different. If you have friends or family in Oklahoma City who have gone through similar situations, start by asking them who helped them in their time of need. Find out what they liked and didn’t like about the attorney they worked with. Be sure to ask about the final outcomes, and what compromises they were advised to make. Follow up on any recommendations by doing your own research before reaching out to any lawyer. And, always interview them yourself and do thorough research. Make sure to go through the entire interview and background research process with at least three attorneys. You may be surprised at what you find. And, you don’t want to end up settling because you’ve run out of time to find someone new. There are a lot of good divorce lawyers in Oklahoma City. Of course, some of the very best are here at the Women and Children’s Law Center. Give us a call if you are facing a divorce. If you choose to work with us, you’ll know that you’ve got the best legal minds with regard to family law, divorce law, and financial law, fighting for you and your family.